I love Farah! 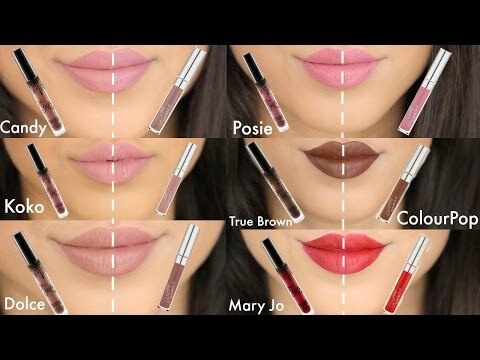 Her videos are so helpful and you can tell she's quite knowledgeable about skincare and makeup. When I found out she and her husband were about to launch tamanu oil, I knew I had to try it. Though I must admit I wasn't sure if it would work for my skin type because I've experienced breakouts in the past from using face oils. Nonetheless, I decided to give it a try and went ahead and got 2 bottles of Farsali Volcanic Elixir. I convinced myself by saying that even if it doesn't work for my face, I can still use it for body/hair. UPDATE: I will have a video on this and Farsali Roseship Radiance Cleanser up on my YouTube channel soon. 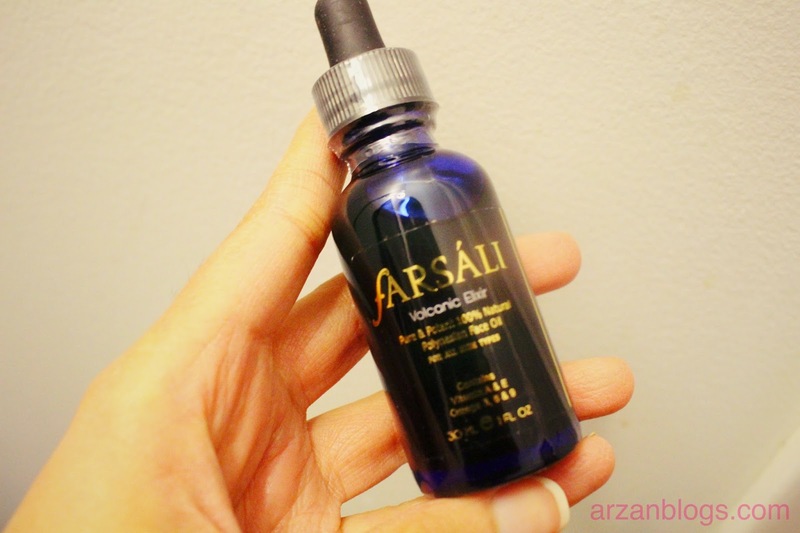 Farsali Volcanic Elixir is a natural face treatment oil made with 100% all-natural Polynesian Tamanu oil. It's suitable for all skin types and can be used on face, body and hair. If you have any other questions, I would highly recommend you to ask them on their social media pages: Facebook, Twitter and Instagram. Each bottle contains 30 ml (1 fl oz). It comes in a glass dropper bottle. It retails for $37 USD but you can get 2 bottles for $69.50 ($34.75 each). How to Use it it? It can be used on face, body and hair. You can use it as daily moisturizer for face/neck as well as spot treatment. Apply 2-3 drops on damped face and neck twice daily (morning and night). 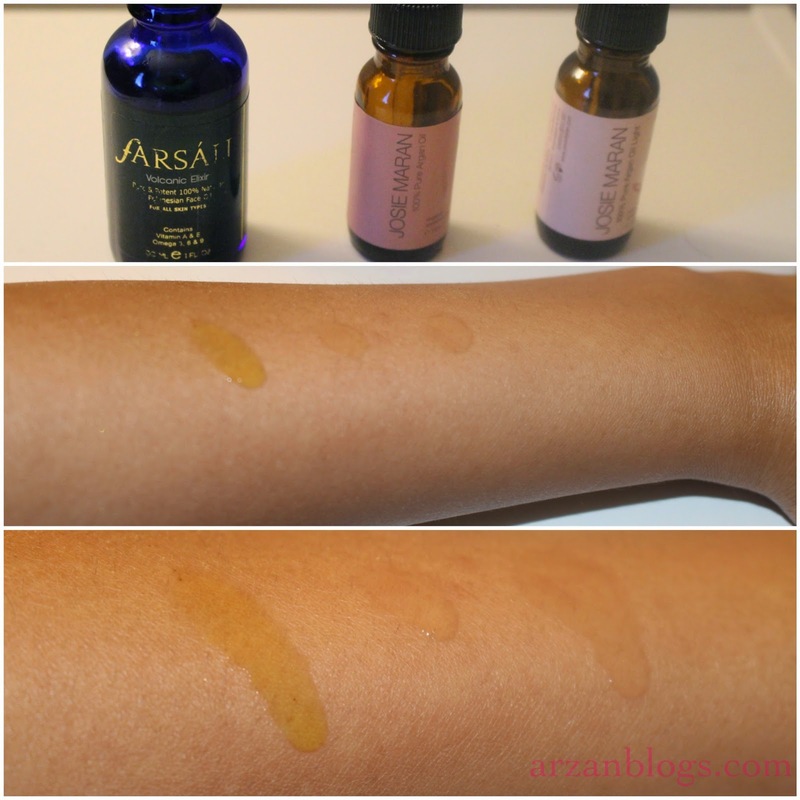 Tamanu oil is well known for its healing properties, so you can apply it directly on your scars. What I normally do is put a drop on my hand first and then apply it. 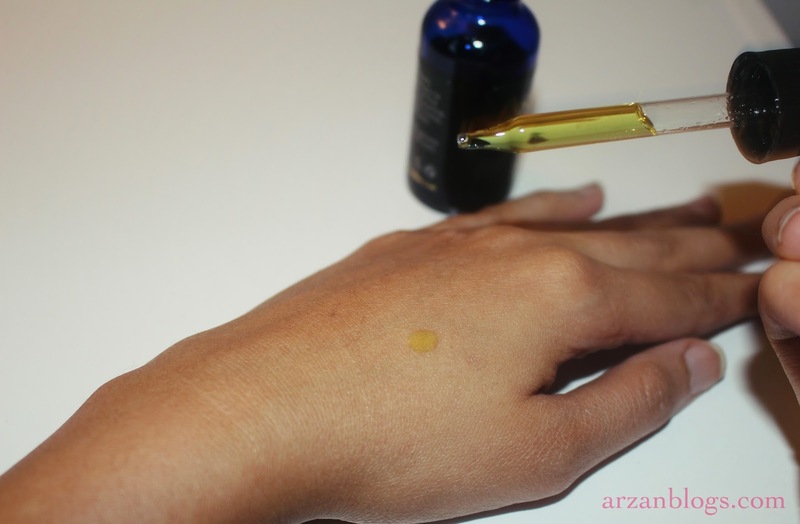 I have some scars on my hands, so I usually apply the oil on those and only one drop of it does the trick. I've been using it twice daily for about 3 weeks and I've noticed some improvement in my skin: less breakouts, barely any dry patches and healing of acne scars. Keep in mind each skin reacts differently, so it's important to test it out especially if you have sensitive or acne-prone skin. Do not use this oil if you're allergic to nuts. I have combination skin. I have a few dry patches (cheeks, around the nose) and redness around my cheeks. Also, I breakout easily on my some parts of my face (usually cheeks). 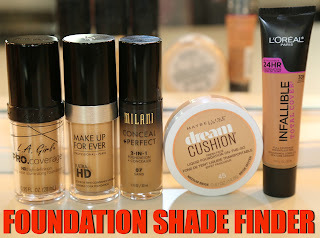 I'm always on a lookout for moisturizers that don't irritate my skin nor cause breakouts. 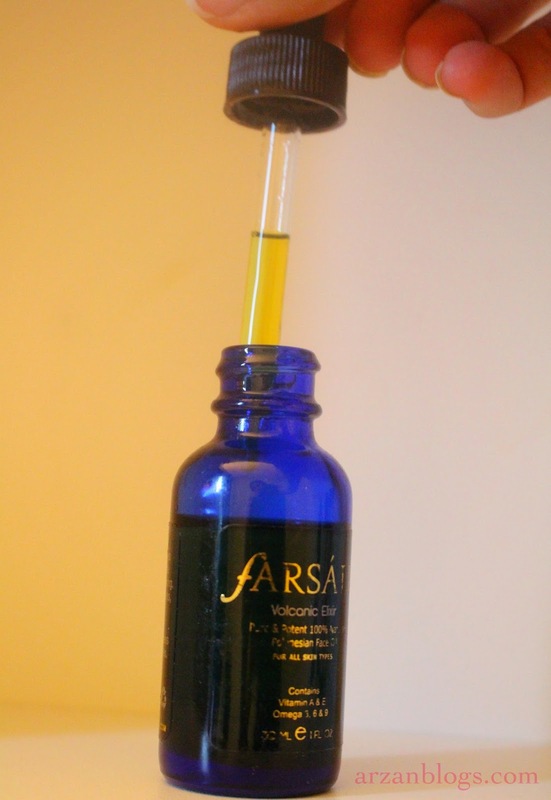 I've used Josie Maran Pure 100% Argan Oil in the past and despite it being moisturizing, it broke me out. So, I started applying it on my dry patches instead. 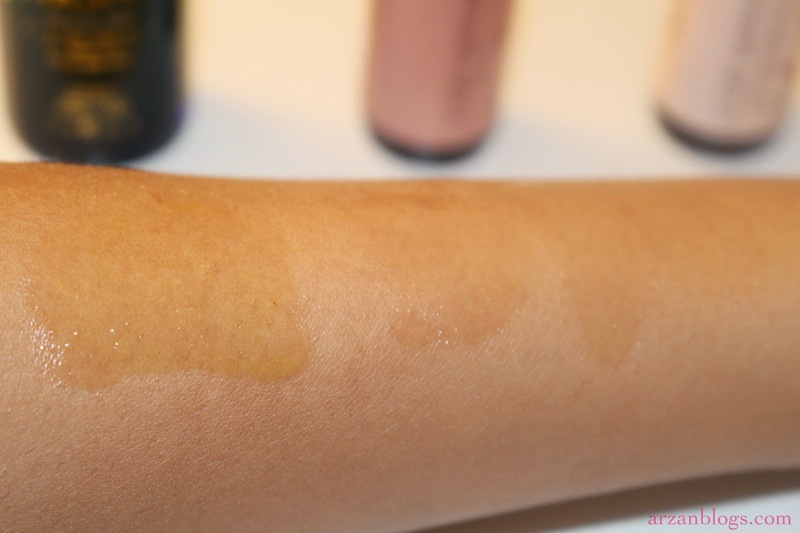 Moisturizing: Yes, it's definitely moisturizing! I love how I barely get any dry patches. My skin truly feels hydrated. Doesn't cause breakouts: I'm so happy it didn't break me out because that's what I was mostly worried about. 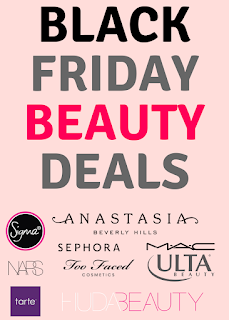 Reduces and heals acne: I noticed that I broke out less than usual and my acne spots actually faded away in less than 2 days. 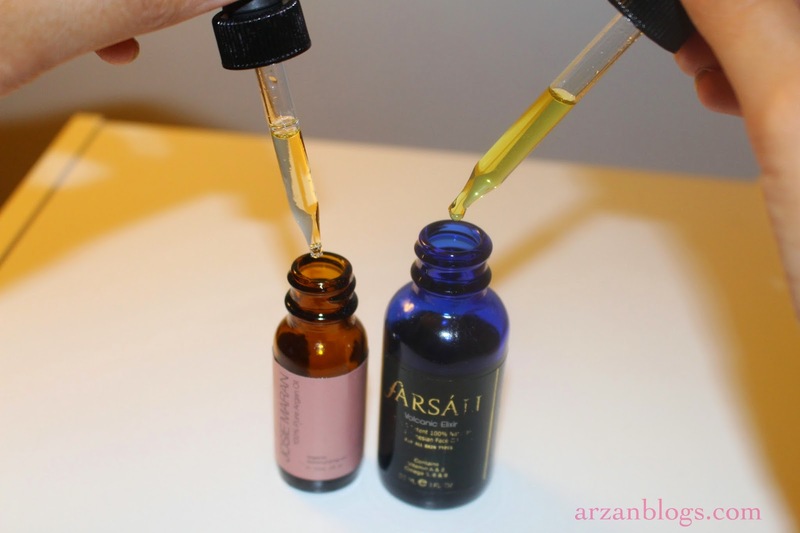 Heals acne scars: During the past year, I've had some acne scars that didn't seem to go away but I'm amazed how they started to fade away in less than 3 weeks of using this oil. 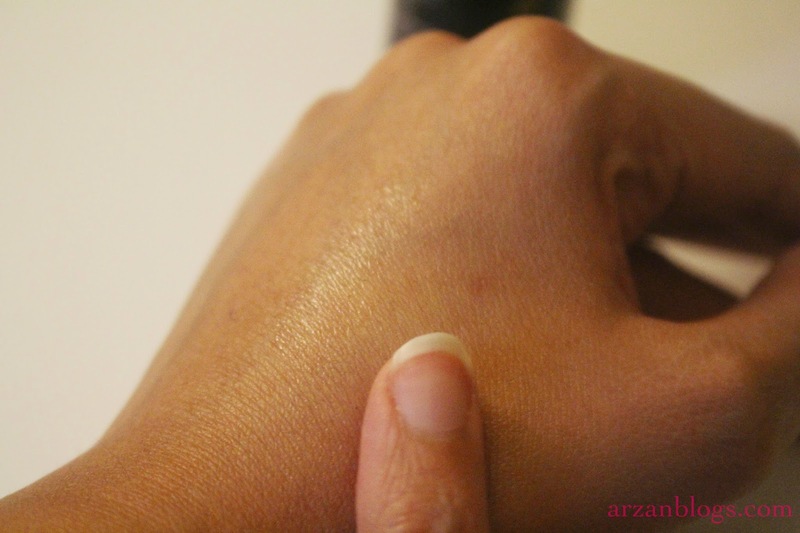 Non-Irritant: My skin is quite sensitive and many products irritate my skin. It does irritate eyes though, so be careful while applying it around your eyes. Non-greasy: It absorbs quickly into my skin. It doesn't make me look greasy or oily, so I can use it during the day. Not an ideal daytime moisturizer: It doesn't have any spf, which is important during the day. You can apply sunscreen or any other products containing spf (foundation, primer, etc) but you have to wait about 10-15 minutes before applying it. Yes! I've been using this for less than a month and I'm quite impressed with the results. I'm just so thrilled at the fact that it didn't break me out nor irritated my skin. When I started noticing my acne scars fading away, that's when I knew it was a keeper! Of course each skin reacts differently but for the most part, I think this oil should work for all skin types (normal, dry, combination, oily, sensitive). However, some people may have allergic reactions to it. Stop using it immediately if you notice redness, itching, irritation, etc. Also, if you are allergic to nuts, then don't try tamanu oil! Prior to using Farsali Volcanic Elixir (Tamanu oil), I was using Josie Maran 100% Pure Argan Oil on dry patches of my face and under my eye. I couldn't use it all over my face though because it made me breakout. So when I got Farsali Volcanic Elixir, I was a little worried it would do the same. Surprisingly, it didn't break me out at all. 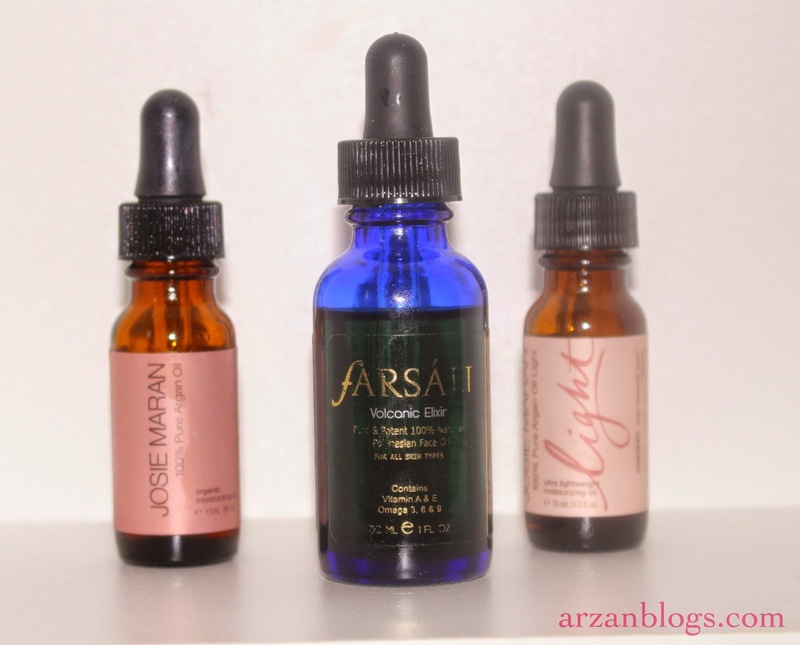 Didn't react too well with my skin: I love Josie Maran 100% Pure Argan Oil but it broke me out. 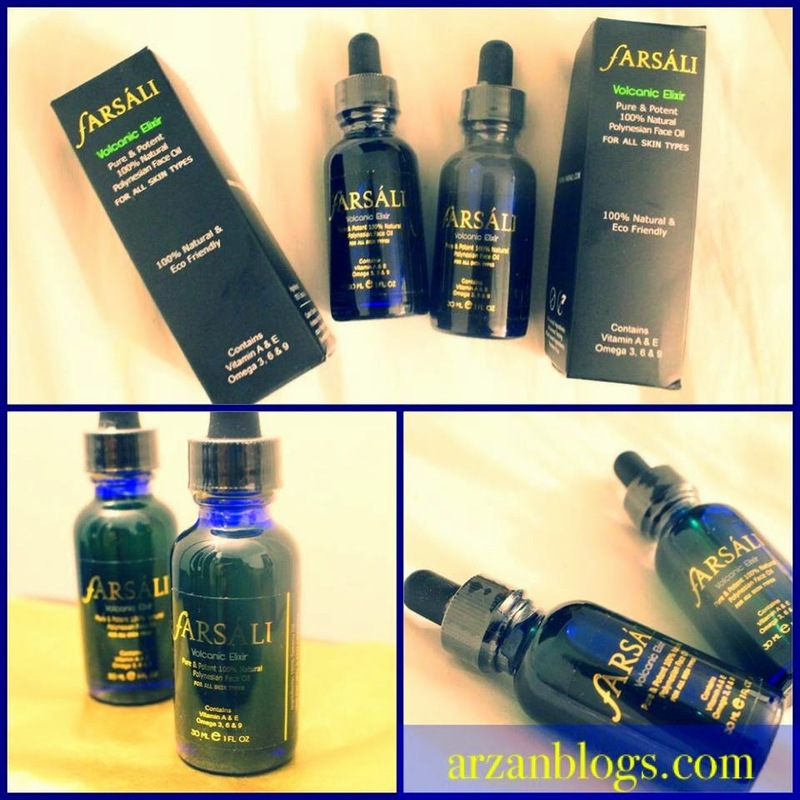 I wasn't the only one who noticed some breakouts after using argan oil. I've read a couple of reviews saying that it broke some people out. However, a majority of the people didn't notice any breakouts and that's why this oil is highly rated. Sadly it just didn't work for me. I still use it on my cuticles and a little goes a long way. Non-greasy: It's lightweight and doesn't feel greasy at all. I can apply it during day time not a problem. No breakouts: I didn't notice any breakouts. In fact, it actually reduced my acne and I noticed my acne spots faded away more quickly. 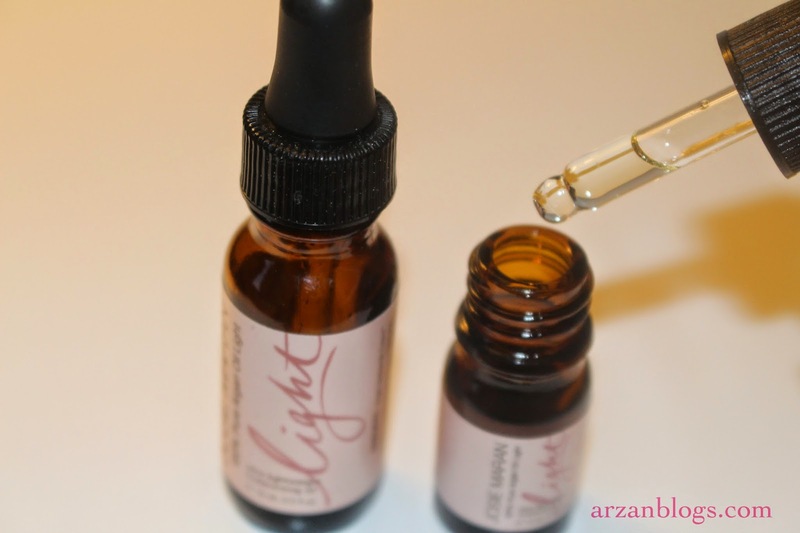 I've also used Josie Maran 100% Pure Argan Oil Light. Even though it's less greasy than the original one nor does it break me out, it's not as moisturizing. In terms of application, it's quite similar to tamanu oil. In the picture below, you can see how each of the oil applies. 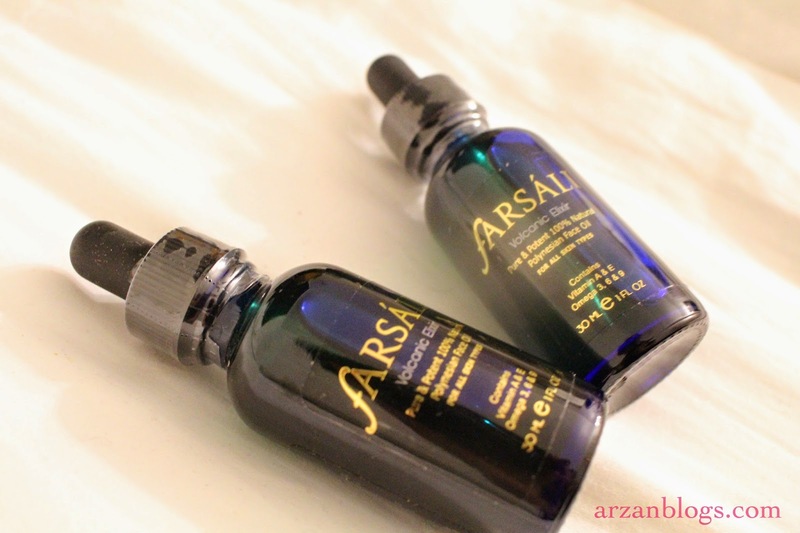 Farsali Volcanic Elixir is on left and Josie Maran 100% Pure Argan Oil Light is on the right. You can see that Josie Maran 100% Pure Argan Oil (middle) isn't as runny as the others because it's much thicker. A drop of Farsali Volcanic Elixir spreads quickly, so I tend to use less of it. Although it seems like these oils all leave oily residue, Farsali Volcanic Elixir certainly doesn't feel greasy at all. Also, after 10 to 15 minutes, the shine goes away and you can barely tell there's any oil on your skin. 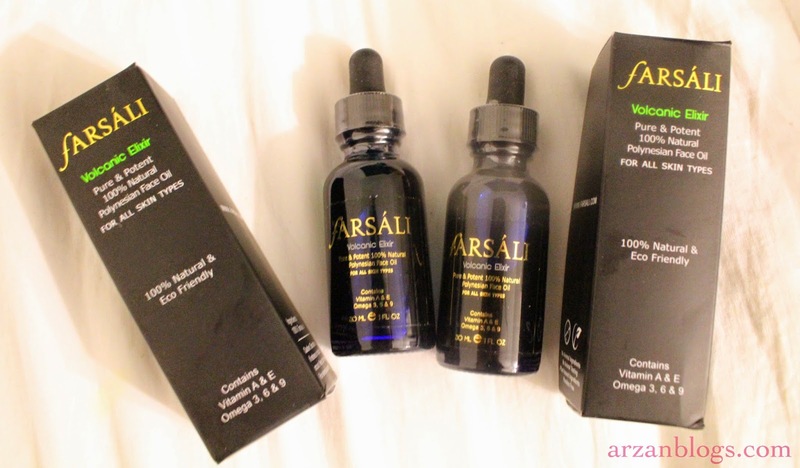 Overall, I prefer Farsali Volcanic Elixir over Josie Maran Argan Oil (original and light version). 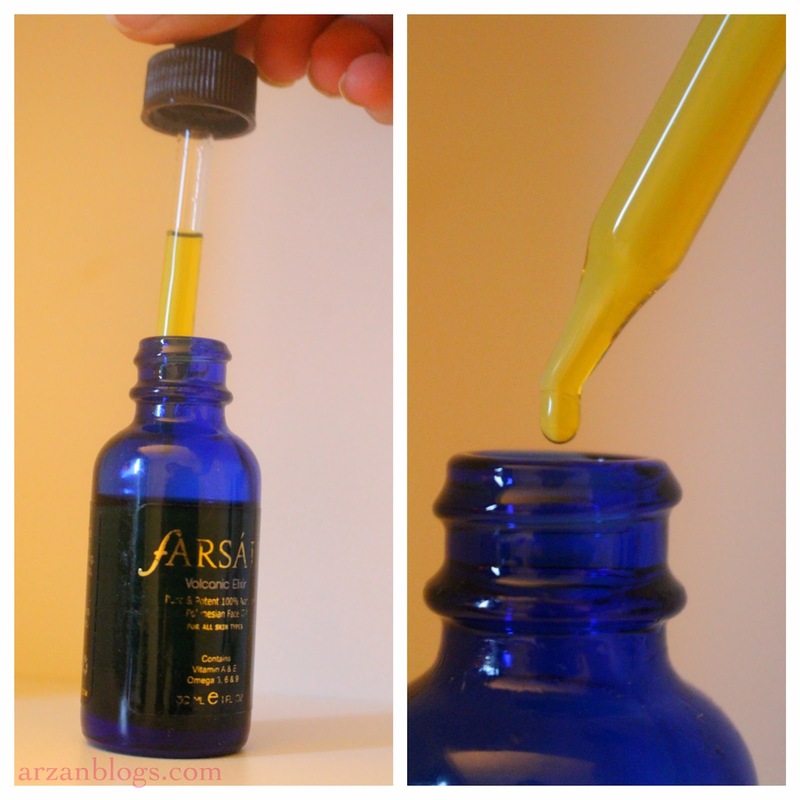 I still love using argan oil on my cuticles but for my face and other scars, I prefer Farsali Volcanic Elixir. It should be soon available in Canada but I really hope they will offer free shipping on minimum 2 bottles (just like United States).